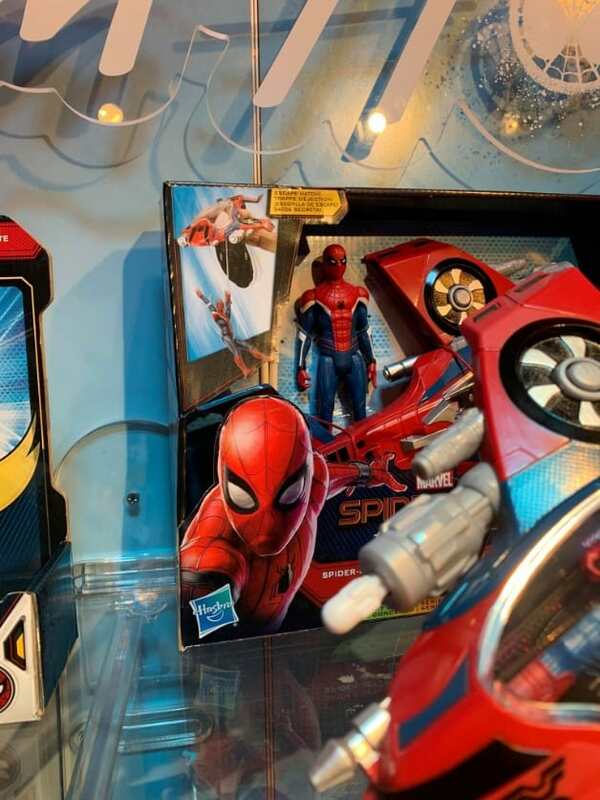 A brand new action figure from Hasbro on display at New York Toy Fair reveals a mysterious new Spider-suit for Tom Holland in the upcoming Spider-Man sequel, Spider-Man: Far From Home. 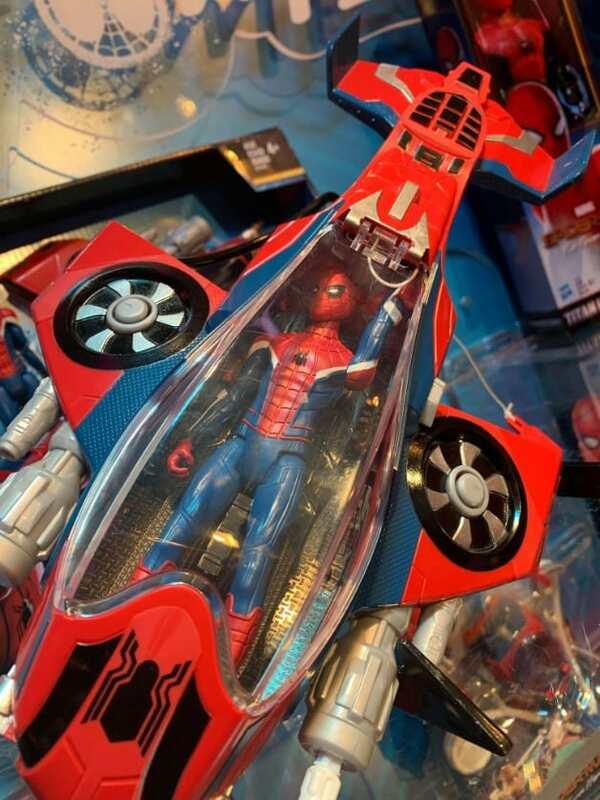 The new Spider-Jet toy from Hasbro for Spider-Man: Far From Home includes a never before suit Spider-suit for Tom Holland’s web-crawler, featuring white accents on the classic red and blue costume seen in the films. The costume itself is reminiscent of the Spider-UK suit seen in the comics, and recently in Marvel’s Spider-Man on PlayStation 4. With Tom Holland’s Peter Parker heading out on a European vacation in the new film, could this be our first look at the Marvel Cinematic Universe’s adaptation of the Spider-UK suit? Check it out and let us know what you think down in the comments below! 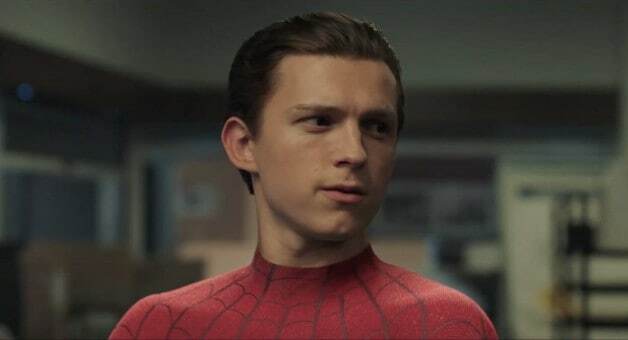 Plot details are still under wraps, however, the web-crawlers next adventure will feature Peter Parker (Tom Holland) as he joins his friends on a summer vacation in Europe and stars Jake Gyllenhaal as Mysterio. Introduced in The Amazing Spider-Man #13, best incarnation of Mysterio is a special effects wizard named Quentin Beck and the character has been a frequent foe for the web-head since his debut. This movie looks like a Spider-Verse. I don’t know why the same Peter will need to use so many suits.